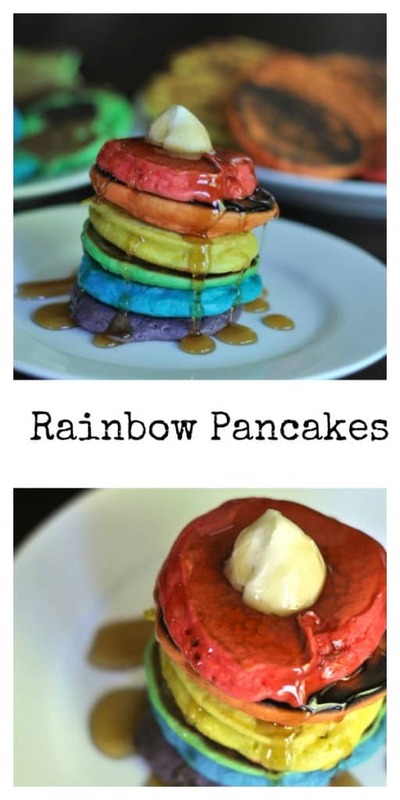 Rainbow Pancakes is a simple and fun recipe you can make with your kids. Last month our family graduated from Early Childhood Family Education (ECFE). I say our family graduated because the program was so much more than education for the students. The parents spend much time together, processing hardships, working through challenges and supporting each other through the joys of parenting. It was hard to say goodbye to everyone, we’ve been in ECFE since Stella was six months old. We sat in the parenting room on our last night and everyone went around sharing their favorite moments and lessons from the year. I sat and thought about our five years and what we’ve learned. How could I explain to them that this group of parents and teacher completely changed my life as a parent? The program was life-changing. It made me the parent I am, it has helped me realized there is no right way to parent and it has shown me that every parent and family is carrying their own challenge and weight and we need to be there and support each other instead of judging and questioning behavior and actions. 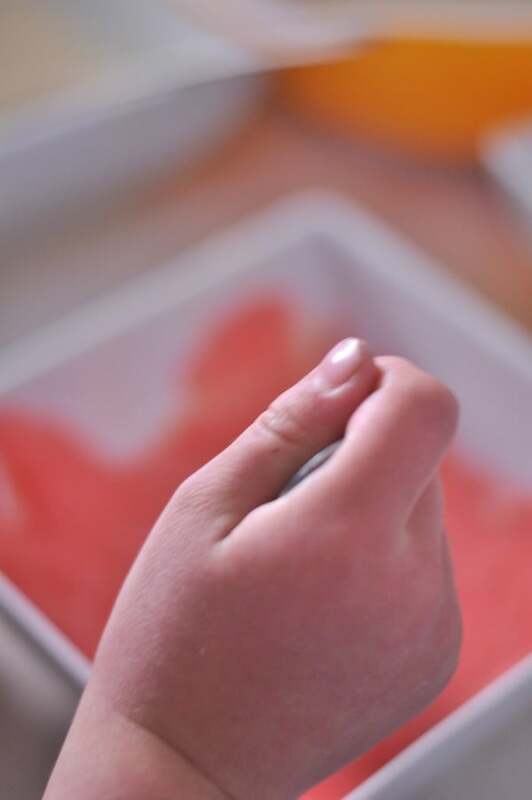 Earlier in the year I was asked to share meal planning tips and ways to involve kids in cooking. Went we went around the room on this last night and when sharing our favorite moments of the year, several noted my food discussion. Some shared stories of how they are now getting their kids involved in cooking and the joy they have discovered together in the kitchen. My heart stopped. This is why I write my blog. 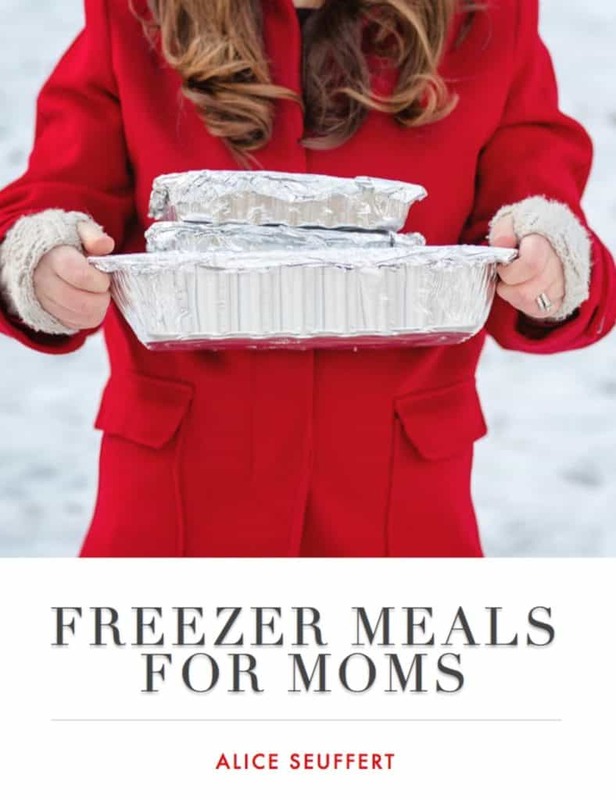 I hope that in some way you take away an opportunity to share cooking with your family, with your significant other, at a party or find time to cook alone and find the joy I see. That’s why I write this blog. 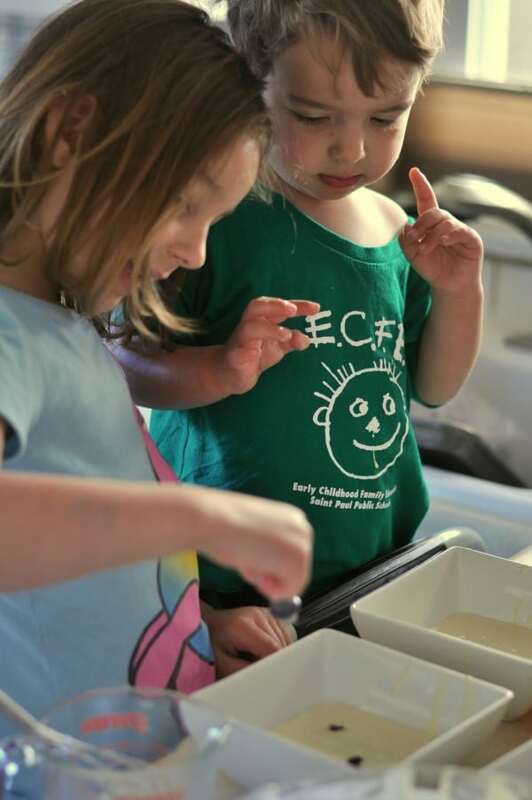 When I talk to parents about getting their kids involved in cooking, my first recommendation is to cook together on the weekends. And the worst time to cook together? Weeknights after work when dinner has a deadline. So take the time when you and the kids are in your jammies with messy hair and unbrushed teeth and cook together. 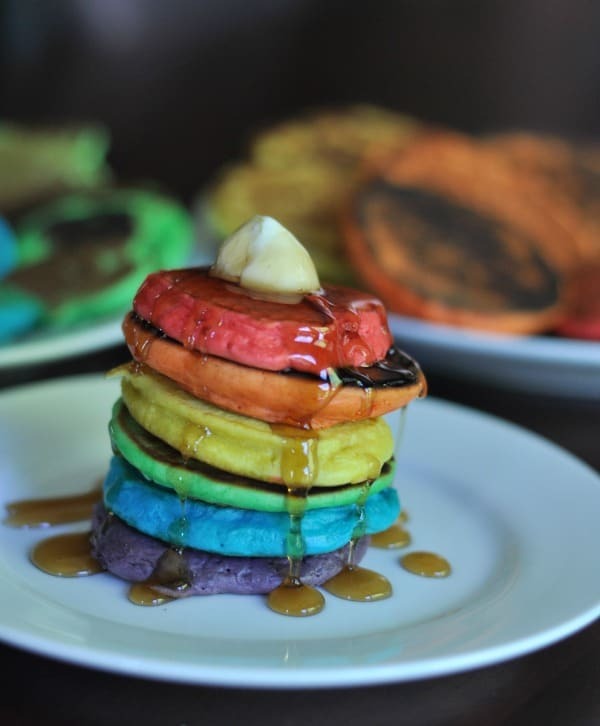 Making breakfast, like Rainbow pancakes, is a great way to get kids involved and using baking mixes like Bisquick are great to keep the ingredients accessible and easy. 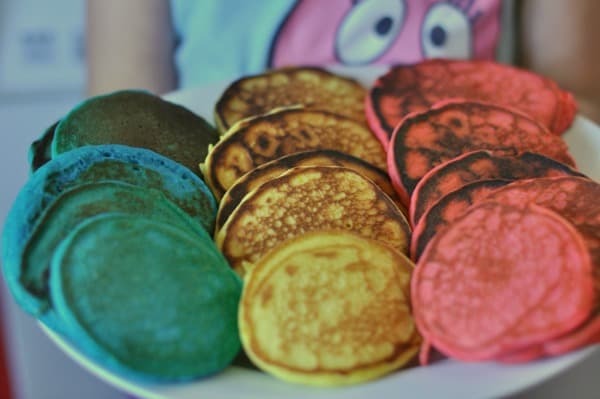 Picking a simple recipe like pancakes is great too for getting the kids involved in the actual mechanics of the recipe. 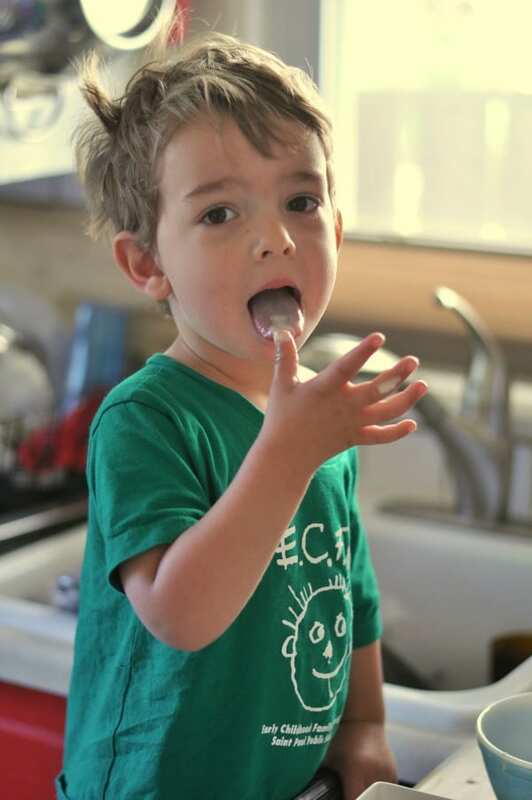 The pouring, mixing and cracking eggs are all skills the kids can and should do with just your observation. 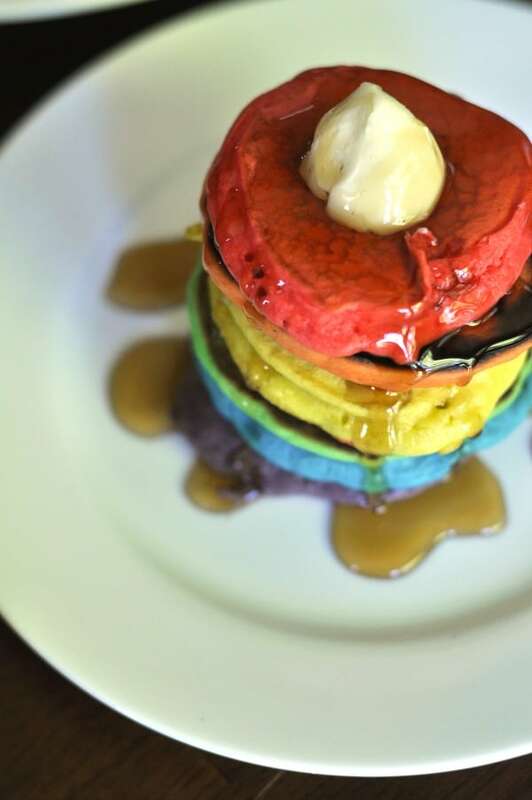 On a recent Saturday we assembled Rainbow pancakes. 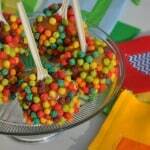 A perfectly easy recipe for the kids and I to do together. I put my griddle on the stove and I let Stella, age 5, pour the batter right on the griddle. We have cooked together since she was a baby and we take precautions. When you cook together with children, you need to find a time that you can be completely devoted to it and have no distractions. And if accidents, including burns happen, support your child to come back into the kitchen the next time and try again. 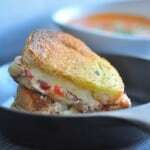 Thanks for being here and sharing the joys and fun of cooking. 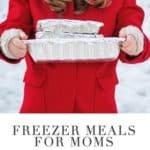 If you are interested more family friendly recipes, my ebook, Freezer Meals for Moms is available now. 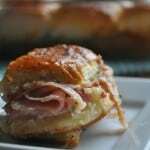 And join my email newsletter to stay connected on my family friendly ideas, recipes and posts. Preheat griddle over medium heat. Spray with nonstick spray. In a large bowl, combine bisquick, milk, eggs, sugar and vanilla. Once combined separate batter equally into six bowls. Pick the color you'd like for each bowl. 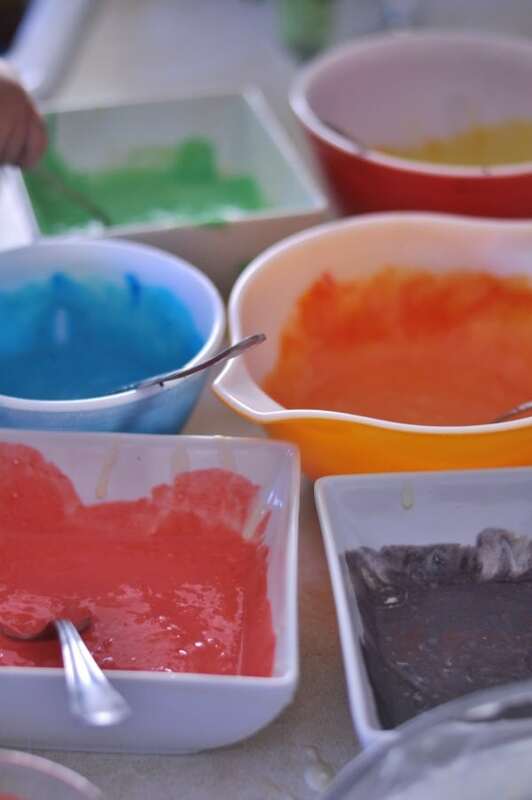 Put several drops of coloring into the bowls until desired color is reached. 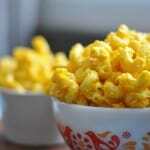 For orange, combine yellow and red. For purple, combine blue and red. 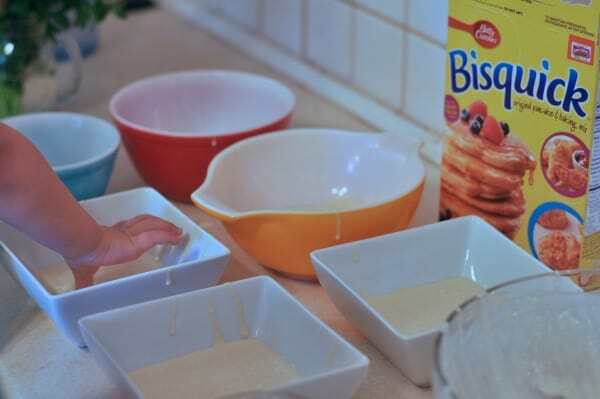 To cook the pancakes, use a small measuring cup and drop six small pancakes on greased griddle or pan heated to medium. 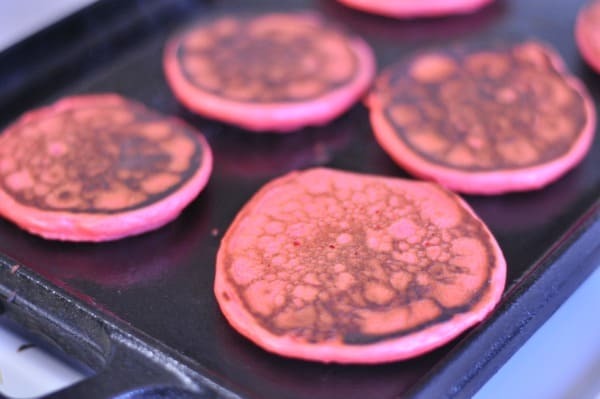 When pancakes start to bubble, flip. 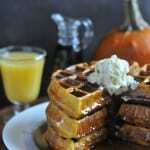 This entry was posted in Comfort Foods, Kids and tagged breakfast, cooking with kids, family, kids, pancakes by Alice Seuffert. Bookmark the permalink.